The Amateur Radio Emergency Service (ARES) will phase out the traditional ARES report forms later this year in favor of an online system called ARES Connect, a volunteer management, communications, and reporting system. The new system will allow information to be logged by ARES members and managed through the Field Organization. The advent of ARES Connect is one of the key elements highlighted in "The Amateur Radio Emergency Service (ARES) 2017 Annual Report," released this week. "ARES Connect is a volunteer management system that covers event signup, reporting, and roster management," ARRL Emergency Preparedness Manager Mike Corey, KI1U, said. "It does not change how ARES operates when serving a partner entity; it is simply a system that will make managing volunteers and events easier." Beta testing of ARES Connect will begin in March. ARES made changes to its report forms last year to make it easier to process information at ARRL Headquarters and to standardize the format for all forms. ARES Monthly Reports have been posted to the ARRL website, providing regular information on Amateur Radio public service communication activity, the report noted. 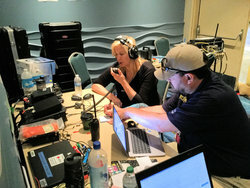 ARRL Emergency Preparedness Manager Mike Corey, KI1U (right), and volunteer Val Hotzfeld, NV9L, were among those who deployed to Puerto Rico following Hurricane Maria to support the American Red Cross. According to the 2017 report, ARES membership stands at 31,332, up by nearly 13% from 2016. The number of emergency operations events reported was up by 665 from the previous year, with 1,913 reported in 2017. The top three states in terms of ARES membership in 2017 were California (2,265), Texas (1,930), and Ohio (1,858). Reported ARES events amounted to 51,673 in 2017 -- a 4% increase -- accounting for 718,930 volunteer hours at a calculated value of more than $17.3 million. "There was a noticeable increase in reported activity during August through November," the ARES 2017 Annual Report said. "During this period there was Amateur Radio response activity for hurricanes Harvey, Irma, and Maria; wildfires in the western states, and the total solar eclipse that occurred on August 21." According to the report, 26 states gained ARES members, while 13 lost members. As part of its educational outreach through the Education & Technology Program (ETP), ARRL will offer three sessions of the Teachers Institute on Wireless Technology this July. The week-long workshops will be held at ARRL Headquarters in Newington, Connecticut, and in Dayton, Ohio -- hosted by the Dayton Amateur Radio Association (DARA). The Teachers Institute (TI) is an expenses-paid, professional development seminar that provides teachers at all grade levels with tools and strategies to introduce basic electronics, radio science, space technology, and satellite communication, as well as weather science, introduction to microcontrollers, and basic robotics in their classrooms. Teachers Institute sessions incorporate hands-on learning. The Teachers Institute curriculum is designed for motivated teachers and other school staff who want to learn more about wireless technology and bring that knowledge to their students. The goal of the TI program is to equip educators with necessary foundational knowledge and -- through hands-on learning -- generate the inspiration for teachers to continue exploring wireless technology and adapt what they learn to their classroom curricula. Topics covered in the TI-1 "Introduction to Wireless Technology" workshop include basic electronics, radio science, microcontroller programming, and basic robotics. Among other activities, participants will learn how to solder and practice by building a small project. They'll also learn basic circuit concepts and learn how to use basic test equipment. In addition, TI-1 attendees will learn about Amateur Radio, take part in a hidden transmitter hunt, see demonstrations of Amateur Radio satellite communication, and build and program their own simple robots. The TI-2 "Remote Sensing and Data Gathering" workshop will concentrate on analog-to-digital conversion and data sampling. Participants will receive telemetry from Amateur Radio satellites and apply it to math and science topics. TI-2 participants will also construct a marine research buoy equipped with environmental sensors, build a microcontroller to sample the data, configure it for Automatic Packet Reporting System (APRS) transmission, and receive and upload data to a spreadsheet for analysis. An Amateur Radio license is not required for the "Introduction to Wireless Technology" workshop (TI-1), but one is required by those planning to attend the advanced "Remote Sensing and Data Gathering" workshop (TI-2), and applicants to the advanced workshop must have completed TI-1. ARRL members in Louisiana have elected John Mark Robertson, K5JMR, as Section Manager (SM) for the next 2-year term of office that starts on April 1. Robertson, of Bossier City, outpolled incumbent Section Manager Scott Wren, KD5DFL, 341 to 148 votes. Wren, of Pineville, has served as SM since April 2016. Ballots were counted and verified at ARRL Headquarters on Tuesday, February 20. This was the only contested Section Manager election this winter. 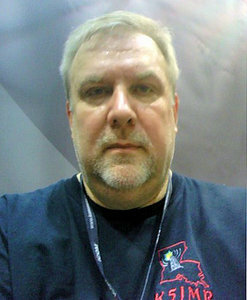 An ARRL Life Member and radio amateur since 2008, Robertson currently serves as Louisiana Section Emergency Coordinator. He is a past president and board member of the Shreveport Amateur Radio Association and the current secretary of the Amateur Radio Club of Shreveport. He is also a director of the Louisiana Council of Amateur Radio Clubs (Frequency Coordination), an active member of the Shreveport Digital Team, and a charter member of the Minden Amateur D-STAR. The following incumbent ARRL Section Managers did not face opposition and were declared elected for new terms of office beginning on April 1: John Fritze, Jr., K2QY (Eastern New York); Karl Bowman, W4CHX (North Carolina); Joe Speroni, AH0A (Pacific); David Kaltenborn, N8KBC (San Diego); Chris Stallkamp, KI0D (South Dakota), and Joseph Palsa, K3WRY (Virginia). Because no Section Manager nominations were received from Eastern Pennsylvania by the December 8, 2017, deadline, nominations are being resolicited for an 18-month term of office beginning on October 1, 2018. Petitions of nomination are due at Headquarters on June 8. The April and May issues of QST will include details. More information is on the ARRL website. "Vacuum Tubes" is the topic of the current (February 8) episode of the "ARRL The Doctor is In" podcast. Listen...and learn! Just ahead: "Adding an Amplifier to Your Station." The theme for the annual National Hurricane Conference, set for March 26 - 29, in Orlando, Florida, will be "Improving Hurricane Preparedness." 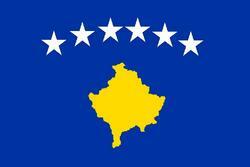 The conference will include an Amateur Radio forum. Registration is now open. Some 1,500 attendees are expected. The Amateur Radio session will take place on Tuesday, March 27, at 1:30 PM. Presenters will address various aspects of the Amateur Radio response to hurricanes Harvey, Irma, and Maria. 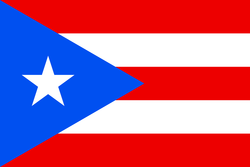 ARRL Emergency Preparedness Manager Mike Corey, KI1U, will discuss ARRL's unprecedented mission to Puerto Rico to support the American Red Cross in the wake of hurricane Maria, considered to be the worst natural disaster of all time for Dominica and Puerto Rico. A National Hurricane Center representative will discuss the importance of Amateur Radio surface reports to the hurricane forecasting process. Other presentation topics will cover the operations of several groups during the 2017 hurricane season, including WX4NHC, the National Hurricane Center Amateur Radio station; the Hurricane Watch Net; the VoIP Hurricane Net; the Canadian Hurricane Centre; the Salvation Army Team Emergency Radio Network (SATERN), and best practices in SKYWARN activations. An international Amateur Radio team that postponed a December 2017 DXpedition to the disputed Spratly Islands now plans, according to its website, to be on the air in early March from Layang Layang Island -- also known as Swallow Reef -- under Malaysian call sign 9M0W, with CW, SSB, and digital operation on 160 through 6 meters. The team, headed by Hrane Milosevic, YT1AD, had to change its plans because the resort on Layang Layang Island, from which the DXpedition will operate, was closed from December until February. In addition to its call sign, the 9M0W team has a landing permit from the Malaysian government. While the Royal Malaysian Navy maintains a presence on the reef, ownership of the Spratlys has been asserted by the People's Republic of China (PRC), Taiwan, Vietnam, and the Philippines -- in addition to Malaysia. The Spratlys are #56 on Club Log's DXCC Most-Wanted List. A group of islands and associated "maritime features" (reefs, banks, cays, etc.) of economic and strategic importance, the Spratlys are just part of ongoing territorial disputes throughout the South China Sea, characterized by diplomatic stalemate and the employment of military pressure -- including the occupation of disputed territory -- to advance territorial claims. The Spratlys and Scarborough Reef, another rare DXCC entity, have caught the attention of news media in recent years, owing to the PRC's increasingly vocal objection to the presence of fishing vessels as well as that of American naval vessels transiting the area's busy trade routes in order to assert the right to freedom of navigation within what the US considers international waters. The most recent DXpedition from the Spratlys took place in 2015, when the DX0P DXpedition operated in the spring of that year from Pag-asa Island, using a license issued by the Philippines. Read more. Members of the 3Y0I DXpedition to Bouvet Island will be doing more than handing out contacts to the world's community of DXers. 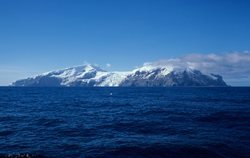 According to the 3Y01 Bouvet Island DXpedition, this will mark the first-ever Polish-led expedition to Bouvet, and it will include geographical exploration of the island, a trek to the top of the island's glacier, Olavtoppen, at 760 meters (nearly 2,500 feet) above sea level, and photo and video documentation of the team's voyage to Bouvet and stay on the island, both for sponsors and the Norwegian Polar Institute. The DXpedition also will place what the 3Y0I is describing as a "time capsule" on Olavtoppen. A dependency of Norway, Bouvet is considered to be among the most remote places on the planet. "Such gigantic geographical isolation, combined with severe weather conditions, and a lack of communication channels in this region of the world, Bouvet Island is one of the least-visited places on Earth," the 3Y0I website describes. "Fewer people have put their feet on [Bouvet] than on the surface of the moon. Our expedition is really an expedition into the unknown." Bouvet is #2 on the DXCC Most-Wanted List, right behind North Korea, from which 3Y0I DXpedition leader Dom Grzyb, 3Z9DX, operated briefly in December 2015. "Over 1 million hams from all continents are waiting for a contact [with Bouvet]. No wonder. The last time Bouvet Island was heard on the amateur bands was 10 years ago," the team's website said. The DXpedition's members face a voyage of up to 3 weeks on often-stormy South Atlantic waters. Grzyb has raised the possibility of live online video feeds from the trip, as well as social media exposure. The contingent of DXers will set sail from South Africa on a seagoing yacht adapted for extreme weather. No dates for the 3Y0I DXpedition have been announced, but it will take place during the subantarctic summer in the Southern Hemisphere. 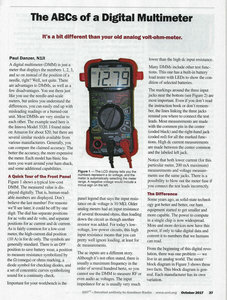 Acting on a recommendation of the QST editorial staff, the ARRL Foundation Board of Directors has selected Paul Danzer, N1II, of Norwalk, Connecticut, as the winner of the 2017 Bill Orr, W6SAI, Technical Writing Award for his article, "The ABCs of a Digital Multimeter," which appeared in the October 2017 issue of QST (p. 37). The Foundation Board announced the award recipient on February 7. "I am surprised and delighted to receive this award," Danzer reacted. "I became a ham at the age of 13, and that led to a career as an electronic engineer and later as a college professor. The ham community has been a constant companion through these years, and it is a pleasure writing for my fellow hams in QST." This is the second time around for Danzer, a former ARRL Headquarters staffer (1994-1998), book editor, and author, who also won the Bill Orr Award in 2004. The award recognizes the recipient's ability to explain technical topics in a manner that is easy for relatively non-technical people to understand. Danzer is the author of Your Ham Antenna Companion and other ham radio titles and magazine articles, and he wrote one of the first children's books on computers in 1981, A Young Person's Guide to Computers. He holds bachelor's and master's degrees in electrical engineering and is a Life Senior Member of the Institute of Electrical and Electronic Engineers (IEEE). Danzer holds several patents, and he served as a professor of computer science at Housatonic Community College in Connecticut (1998-2016). Bill Orr, W6SAI -- the award's namesake -- is best known for his voluminous publications for radio amateurs, including such reference gems as The Radio Handbook, The Beam Antenna Handbook, The Quad Antenna Handbook, The VHF-UHF Manual, and The W6SAI HF Antenna Handbook, some written in collaboration with Stu Cowan, W2LX. From the 1940s through the 1980s, Orr was a frequent contributor to QST, and he constructed some of the amplifiers once used at ARRL Maxim Memorial Station W1AW. He died in 2001. A rising star in the Amateur Radio world -- 19-year-old Ruth Willet, KM4LAO, of Lawrenceville, Georgia -- has caught the eye of her school, Kettering University in Michigan, where she is majoring in mechanical engineering and engineering physics. Willet already has attracted attention through her ham radio activities. Last spring, she was the keynote speaker at the 32nd annual DX Dinner® held in conjunction with Hamvention®, where her topic was "Experiencing the Hobby of a Lifetime." The previous summer, she was a member of the 2016 Dave Kalter Memorial Youth DX Adventure (YDXA), which operated from the island of Saba that year. Last year, she won a QST Cover Plaque Award for the article she wrote about her YDXA experience. At the 30th Hamvention Youth Forum in 2017, Willet spoke on "Plugging into Your Valuable Club Resources." She is the recipient of the ARRL Rocky Mountain Division Scholarship. Kettering University News took notice of Willet in a February 12 article, "Kettering University Student Brings Ham Radio Hobby, Expertise to Campus," by Sarah Schuch. The article explains how an early fascination with Morse code led Willet into ham radio and inspired her to obtain her license in 2015. She now holds an Amateur Extra-class license. "I would encourage people to consider exploring Amateur Radio, because it's a hobby that allows you to explore anything from technical electronics to international friendships," Willet is quoted as saying in the article. "It's such a special hobby because there's so many people that want to get to know you and want to help you learn and grow. It really has enabled me to mature into who I am today." Set to graduate in 2021, Willet said her ham radio experiences have taught her a lot, some of which she is able to apply to her studies, and vice versa. 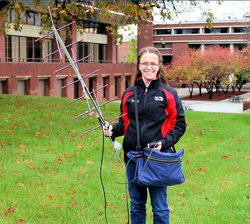 She hopes to start an Amateur Radio club on campus this spring to get more students interested. 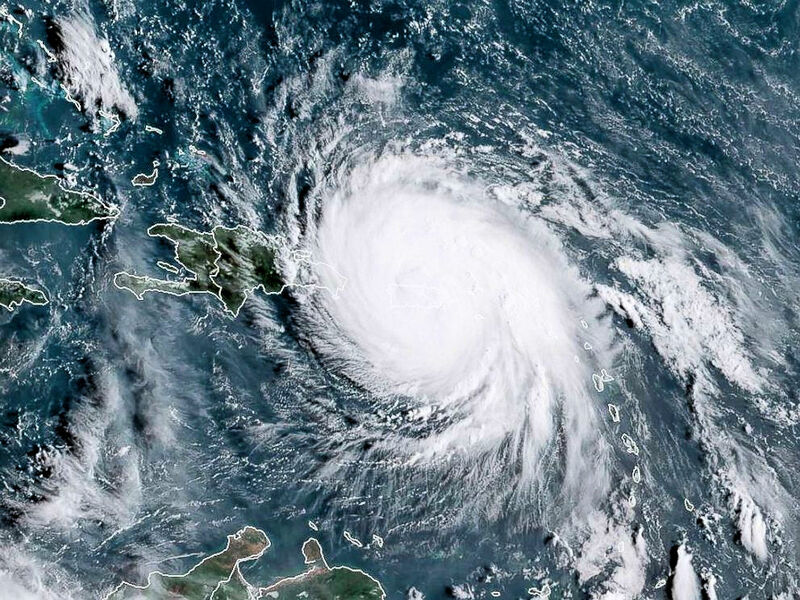 In the article, Willet also pointed to Amateur Radio's public service role, citing the devastating 2017 hurricanes, where ham radio sometimes was the only available communication resource. Ruth Willet and her mom Sharon, KM4TVU, participated in ARRL's highly successful National Parks on the Air (NPOTA) event in 2016, which also was mentioned in the Kettering article. "It's a stress relief for me," Willet said of ham radio. "I really enjoy sharing this hobby with other students." Tad Cook, K7RA, Seattle, reports: The average daily sunspot number dropped from 24 during the previous 7 days, to 5.6 in this reporting week, February 15-21. That average is as low as it is because no sunspots have been seen since February 17, and no new sunspot regions have been observed since February 4. Average daily solar flux dropped to 70.1 in the current period from 77.4 in the previous week. Based on the latest 45-day prediction for solar flux, I expect sunspots to reappear by March 1 or 2, when solar flux is expected to increase suddenly. 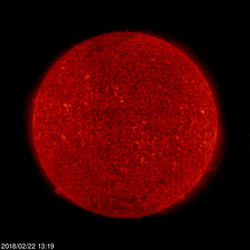 Predicted solar flux is 69 on February 22-28; 70 on March 1; 76 on March 2-12; 74 on March 13-14; 72 on March 15; 70 on March 16-25; 72 and 74 on March 26-27, and 76 on March 28-April 7. The predicted planetary A index is 8 on February 22-27; 5 on February 28-March 3; 8 on March 4; 5 on March 5-13; 10, 8, 12, 16, 14, and 12 on March 14-19; 8 on March 20-22; 5 on March 23-30; 8 on March 31, and 5 on April 1-7. Sunspot numbers for February 15-21 were 15, 12, 12, 0, 0, 0, and 0, with a mean of 5.6. The 10.7-centimeter flux was 72.5, 71.5, 69, 70.3, 69.1, 70.5, and 67.6, with a mean of 70.1. Estimated planetary A indices were 11, 7, 12, 14, 17, 5, and 4, with a mean of 10. Estimated mid-latitude A indices were 6, 7, 10, 14, 11, 3, and 3, with a mean of 7.7.